I just found this on ebay. Useful if anybody is looking for replacement hoses. I'm told they are good value. Mine are 24 years old and still in very good nick (I hope!!) Might be an idea to spring for these though, also looked at these for the VFR800, which are only 18 years young. Have just aquired a set of these in blue for my project bike. With the shiny alloy rad i've fitted they will look the business. Was busy getting wed yesterday and we're off on honeymoon monday so will fit them when we get back. @wrighty wrote: Was busy getting wed yesterday and we're off on honeymoon monday so will fit them when we get back. I don't think you'll have time now. You'll be putting up shelves and building new bathrooms ! So you recommend these do you Jameshambleton? I have a leaky system (at hose clamp unions) on the VFR800 and thinking of upgrading to these. 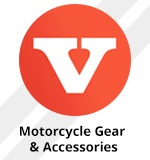 Looked for Samco but they seem to not make the kits for the VFR for whatever reason.Thumbs up or down for AS3 hoses?